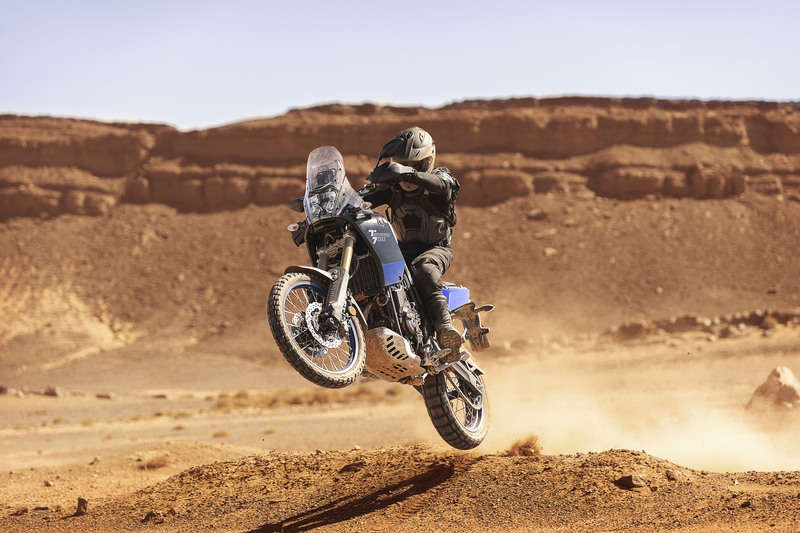 Good news: after giving us looks at a concept and a prototype, plus a prolonged promotional campaign, Yamaha officially introduced the production version of the Ténéré 700. Bad news: we won’t see it in the U.S. until the second half of 2020, which technically will make it a 2021 model. Haven’t we waited long enough? European customers will have a shorter wait, with the Ténéré 700 arriving in showrooms in 2019. What’s the hold-up? According to Yamaha, the wait is due to differing government regulatory standards and production line schedules. European models will be produced in Yamaha’s factory in France while those bound for the U.S. will be made in Japan. It’s a risky strategy for such an anticipated model. 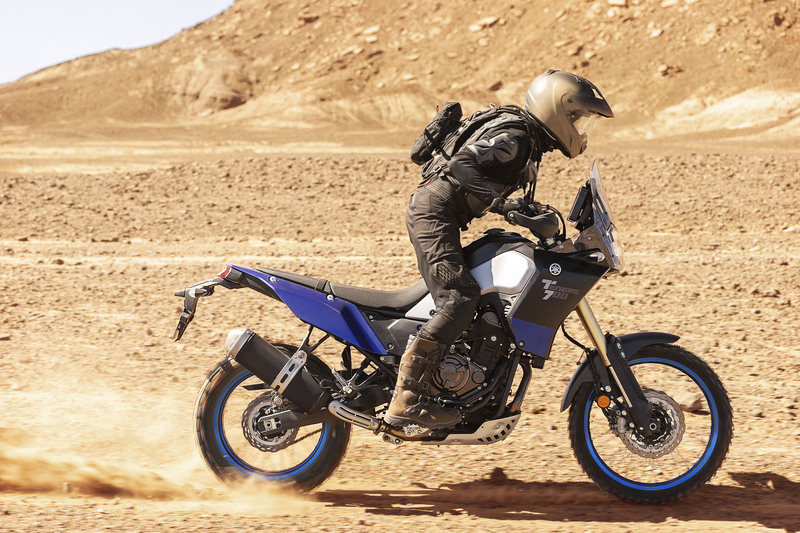 So, if you’re shopping for a new adventure bike, here’s what you need to know about the Yamaha Ténéré 700 to decide if it’s worth the wait. 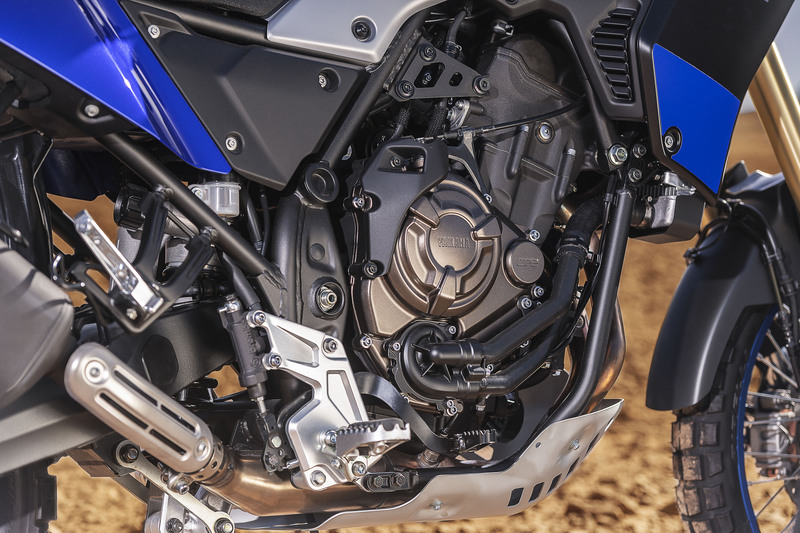 The 2021 Yamaha Ténéré 700 is powered by the CP2 689cc parallel-Twin engine, similar to the one used on the MT-07 and XSR700. For the T700, Yamaha modified the fuel injection settings and changed the final transmission ratio to suit adventure-touring requirements. Yamaha claims a maximum output of 72 hp at 9000 rpm and 50 lb-ft. at 6500 rpm. Yamaha developed a new double cradle tubular steel frame for the Ténéré 700 for a slim figure plus a balance of light weight and strength. 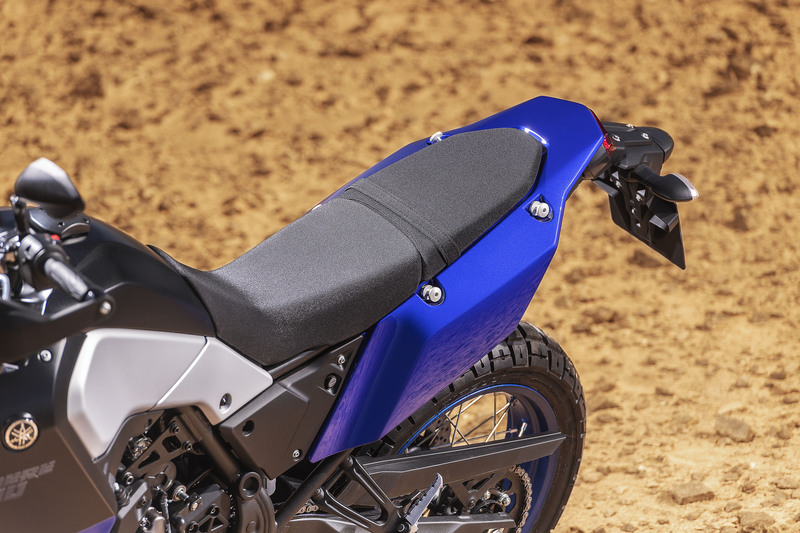 The seat is flat and slender, allowing a rider to shift weight and position for off-road riding situations. The bodywork and 4.2-gallon fuel tank were also kept narrow to allow riders to grip the tank with their knees when sitting or while standing on the Ténéré’s pegs. Up front, the Ténéré comes equipped with a 43mm inverted fork with adjustable damping promising 8.3 inches of travel. The link-type rear suspension has a remote preload adjuster and claims 7.9 inches of travel. Minimum ground clearance is listed as 9.4 inches. The 21-inch front wheel has two 282mm wave-style brake rotors, while a 245mm rotor sits on the 18-inch rear wheel. ABS comes standard, but it can be disabled to allow the rear wheel to lock for off-road situations. 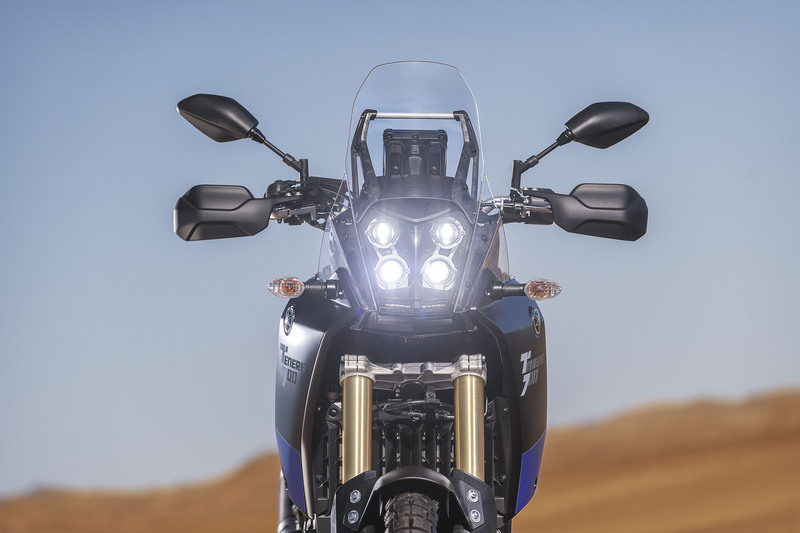 Up front, the Ténéré 700 sports a distinctive four-LED headlight that is based on the design of Yamaha’s factory rally racing machines. The lights are contained behind a clear nacelle that blends into the tall rally-style windscreen. 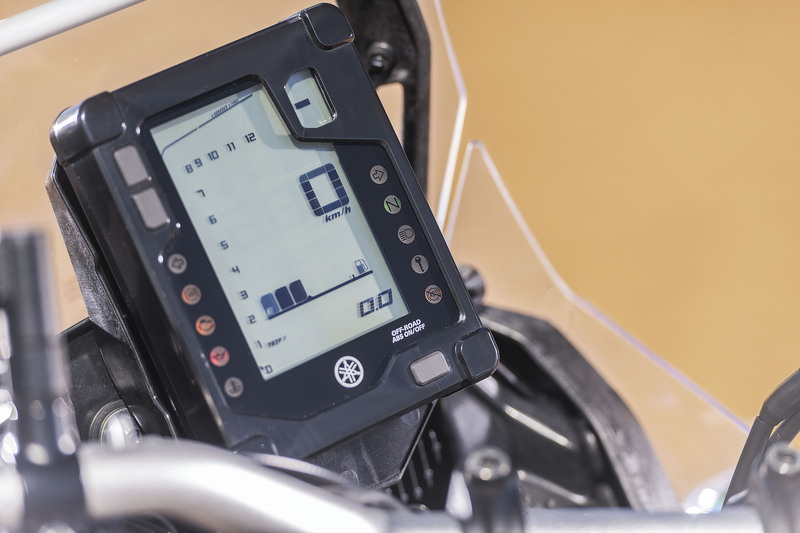 Yamaha’s rally bikes also influenced the design of the Ténéré 700’s instrument cluster, which is a compact multi-function LCD display. The compact display also allows for room for riders to fit a wide range of aftermarket GPS navigation devices or smartphone mounts. The blue and white color scheme showed above (“Ceramic Ice” is the official name) will be offered in the U.S. when it arrives in late 2020. European consumers will also get a choice of Competition White or Power Black. U.S. pricing remains to be determined.